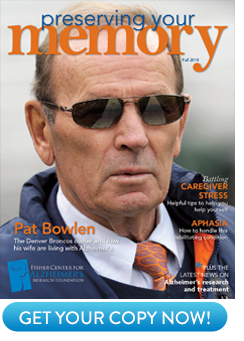 Memory loss is the best-known symptom of Alzheimer’s disease. But the illness can also lead to poor judgment and changes in behavior, sometimes resulting in aggressive or antisocial behaviors that can make caregiving difficult as well as lead to legal troubles like citations for traffic violations, theft and trespassing, a new study details. Families should be aware of these behaviors, experts say, and understand that they are the result of the disease process and not willful choices. More important, they may be early warning signs that it’s time to take action. If someone with Alzheimer’s starts getting traffic tickets (and that’s new for the patient) or often gets lost, for example, it may very well be time to take away the car keys. Or if someone shows signs of wandering, they should always be accompanied when venturing out. For the study, researchers reviewed the medical records of 2,397 men and women who visited the University of California, San Francisco’s Memory and Aging Center between 1999 and 2012. The patients had a variety of degenerative brain and nervous system disorders causing dementia, including 545 with Alzheimer’s disease. Overall, 204 of the patients, or 8.5 percent, had unwittingly been involved in some kind of legal trouble during the study period. Those with a condition called frontotemporal dementia, a less common form of dementia that often causes loss of impulse control, were most likely to commit crimes; more than a third of those with the disorder had been involved in legal troubles. More than 20 percent of those with aphasia or Huntington’s disease, an inherited degenerative condition marked by both physical and mental declines, had legal woes. Those with Alzheimer’s were least likely to have committed crimes, and most of those were petty. Forty-two of the 545 patients with the disease, or 7.7 percent, had involvement with law enforcement. The most common crime in those with Alzheimer’s involved traffic violations, usually related to memory loss. There were several cases of trespassing, associated with the wandering that can occur in those with Alzheimer’s. In one case cited, a woman with Alzheimer’s picked up a pie in a store and left with it, prompting an arrest for shoplifting. Such behaviors usually occurred later in the course of the disease. More serious but less common problems among the patients studied included theft, sexual advances and, in men, public urination. The study appeared in JAMA Neurology, a journal from the American Medical Association. “The findings from this study suggest that individuals who care for middle-aged and elderly patients need to be vigilant in the diagnosis of degenerative conditions when behavior begins to deviate from the patient’s norm and work hard to protect these individuals when they end up in legal settings,” the study authors conclude. The “crimes” outlined in the study reflect waning brain deficits involving such factors as judgment, emotional processing, violence and self-awareness. These behaviors, the authors note, are sometimes the first sign that someone might have dementia, although it was rarely the first sign of Alzheimer’s. When people with Alzheimer’s do develop behavioral problems or aggression, it’s usually when the disease is in a more advanced stage. Most people with Alzheimer’s don’t commit crimes. And when they do, experts say, they should not be held responsible for their actions, since it is the result of a brain disease. If legal troubles do develop, caregiving should be modified to keep the person with Alzheimer’s, and those they come into contact with, safe and secure.